Assembled by each couple, these baskets full of their favorite things are truly one-of-a-kind. 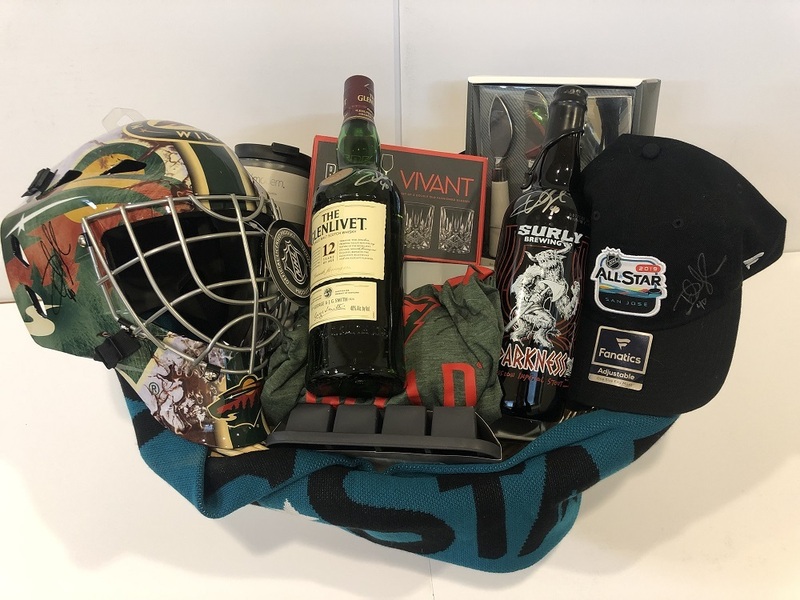 Devan & Jennifer's basket includes: A set of 6 beer glasses, a set of 4 double old-fashioned glasses, an autographed bottle of Surly Darkness beer, an autographed bottle of Glenlevis 12 year Scotch, an ice cube tray, a set of cheese knives, an autographed Wild goalie mask, an autograhped Wild t-shirt (size large), two tumblers, a set of coasters, and an autgraphed 2019 NHL All Star Game hat & scarf. Proceeds benefit Women's Advocates, a local domestic abuse shelter.